If you want to increase lean body mass and boost strength, then supplementation with Creatine is effective in helping you achieve these goals. Creatine also enhances anaerobic performance, controls acidity in muscles and helps mitigate the effects of lactic acid accumulation. Creatine-JB uses only Creapure™, 100% pure, creatine monohydrate, enhancing uptake and bioavailability, thereby allowing your muscles to quickly absorb and utilise creatine faster. Creatine can help support protein synthesis which helps muscle growth. 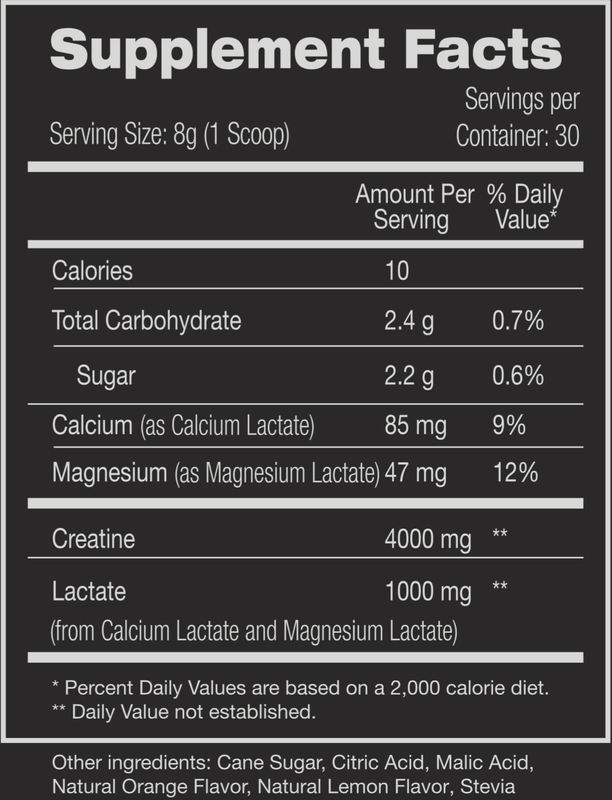 Every scoop of Creatine-JB gives you 4 grams of 100% pure, clean creatine and 1000mg of lactate. Mix one scoop with 250ml of cold water or other non-caffeine and non-acidic juices, mix well before consuming. Remember to increase your water intake when using creatine to help keep your body in electrolyte balance. Is this supplement to be taken only on lifting days, or every day, as with other creatine supplements? Thank you. Instructions on the package seem to imply it should be taken only on workout days. Recommended Usage: Mix one scoop with 250ml of cold water or other non-caffeine and non-acidic juices, mix well before consuming. Take one scoop before workout. On rest days continue to take one scoop in the morning. On hard training days take one scoop before workout and one scoop after second workout. Remember to increase your water intake when using creatine to help keep your body in electrolyte balance.